February 27, 2017 Scott Huettel, Ph.D.
New paper Five-year-olds do not show ambiguity aversion in a risk and ambiguity task with physical objects Paper by Rosa Li and colleagues has been accepted in the Journal of Experimental Child Psychology. Congratulations to Rosa on having two papers accepted the week after defending your dissertation! Congratulations to Rosa Li and David Smith! 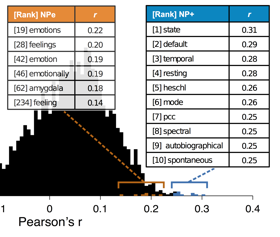 Huettel Lab paper, Reason’s Enemy Is Not Emotion: Engagement of Cognitive Control Networks Explains Biases in Gain/Loss Framing, has been accepted in the Journal of Neuroscience. Congratulations to co-first authors Rosa Li and David Smith! February 14, 2017 Scott Huettel, Ph.D. 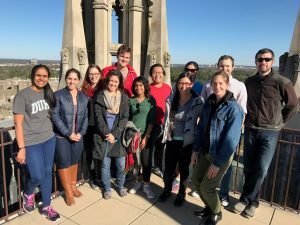 The lab takes a break from normal activities (i.e., typing) to climb the 239 steps to the top of Duke Chapel. All lab members were accounted for afterward.